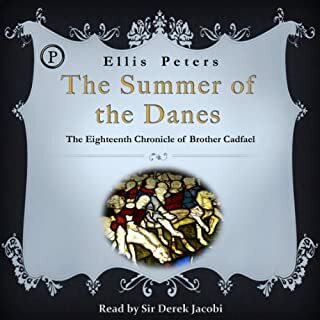 A collection of chronicles including The Summer of the Danes, Brother Cadfael's Penance, The Heretic's Apprentice, Monk's Hood, The Potter's Field, Saint Peter's Fair. It is the Summer and Autumn of the Year of Our Lord 1143 in which the gentle monk, Brother Cadfael, is forced to leave the tranquility of his herb garden to find the whole truth behind the murder of a young women whose body was unexpectedly discovered in a newly tilled field recently acquired by the Shrewsbury Abbey in a land exchange. It is nearing the end of the Year of Our Lord 1145. A monk vows to abandon all earthly ties, but how can Brother Cadfael obey when his son is captured in battle? Olivier de Bretagne is one of many young knights taken prisoner in the current power dispute in Britain, but he is also Cadfael's son, and the monk cannot be objective. A council is planned at Coventry to try to appease the warring factions, and Brother Cadfael asks leave to attend, knowing he must do all in his power to find and deliver his son. 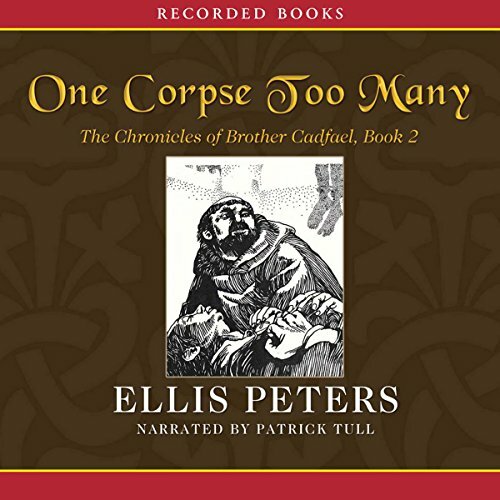 This most thrilling and humane of Ellis Peters's novels is filled with excitement, intrigue, and a meticulously depicted medieval background. Brother Cadfael finds himself caught up in a bitter feud between two royal brother whose armies teeter on the brink of civil war. Slow start to an interesting story. It is December in the Year of our Lord 1138 when Gervase Bonel dies after eating sauce laced with poison served which had been served with a partridge. The active ingredient found in the sauce was monkshood, poison if ingested and otherwise known as Wolfsbane. Brother Cadfael made the oil. Who used it as poison? 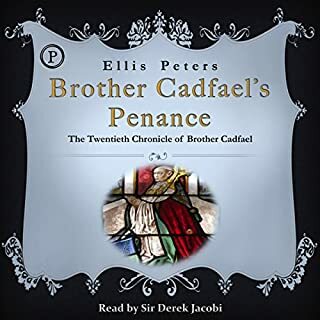 Cadfael assesses the motives of Bonel’s Welsh natural son and his stepson, and deals with Bonel’s widow, who at one time long ago was Cadfae's sweetheart. Drawing upon his knowledge of both herbs and the human heart, Cadfael ultimately uncovers a deadly recipe for murder. Helmut Schauffler, a young Nazi working in the small English village of Comerford, sets out to play upon the post-war sensibilities and fears by terrorizing his new neighbors. A peek into an earlier time. When the castle of Shrewsbury is taken during the war between Empress Maud and King Stephen, 94 prisoners are taken, 94 are hanged. When Brother Cadfael arrives to perform the burial rites, he finds one corpse too many among the bodies stacked about the fortress. 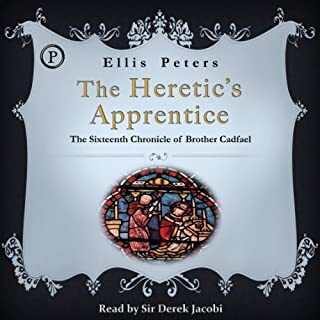 Cadfael reports the discrepancy to Stephen's newly appointed Sheriff Gilbert Prescote, who reluctantly announces it to the town, asking if anyone can identify the unknown man.Godith identifies the murdered man as Nicholas Faintree, a squire of the rebel leader FitzAlan. Investigate another case with Brother Cadfael. 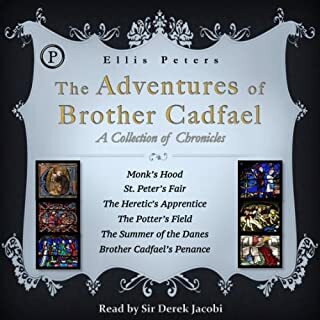 This, the second of the Brother Cadfael mysteries, introduces Cadfael to Hugh Beringar, who becomes a valued friend and the under-sheriff of Shrewsbury. In the summer of 1138, the two contenders for the throne of England have brought civil war to Shrewsbury as King Stephen battles the Empress Maud for the throne of England. Two murders have happened, both related to Stephen's conquest of the town and the flight of Maude's chief supporters. Two young people, both important to Maude's cause, are caught in the town, in hiding from Stephen. Cadfael shelters them and plots their escape, follows the clues to the murderers, and finds Hugh Beringar first a worthy opponent and eventually a staunch friend. Along the way Hugh meets the love of his life. Wonderful story, top-notch characterizations, and some thoughtful discussions on the nature of friendship and love. 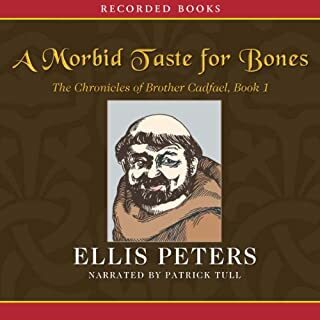 I've become convinced that Patrick Tull has a perfect voice for Cadfael, regardless of my love for Derek Jacobi from the PBS TV adaptations. Patrick Tull has a very realistic Welsh voice, but is still very understandable. This is one of my favorite Brother Cadfael stories. The story, the crime, the chase are all done very well. I'd have to break out the ole' Roget's to get enough words to describe how much I enjoyed every moment of this book and performance. This, the second story in the Brother Cadfael series, is more of a captivating adventure story set in medieval England than a detective mystery. The mystery lies behind the adventure, and does get solved in the end, but it isn’t the lifeblood of the story. It tends to have more of a flavor of a cozy mystery. The characters are mostly quite likeable and the reader gets drawn in to Brother Cadfael’s clever plotting. Patrick Tull isn’t my favorite narrator, but he doesn’t detract from the book. I read this series a long time ago, and I find I am enjoying them again. All in all, well worth listening to. I think I’ve listened to all of the Cadfael books— many times. This is still one of my favorite stories. I never get tired of it. And I love Patrick Tull’s narrations! Both he and Stephen Thorne (narrated the tapes) are wonderful and bring the characters to life!! And Ellis Peters is incredible!!! I can’t say anything about her that hasn’t already been said. If you love medieval mysteries with wonderful characters that aren’t all full of angst and darkness, then these are for you!! I love the Cadfael series. Funny, sarcastic, and worldly Brother Cadfael observing the happenings of the cloister and the world beyond, without being afraid to get his hands dirty to ensure the truth is brought to light. Great comfort reads! Patrick Tull's narration is fabulous! I also loved him in the Master and Commander series. This is the book in the series where Ellis Peters really hits her stride. The narration is flawless and absolutely captivating. Not to be missed for those who love a good, classic murder mystery.